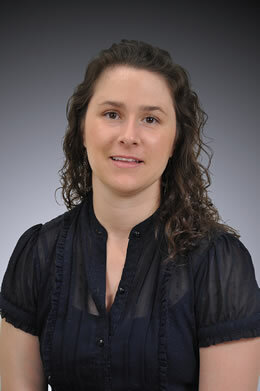 Lauren Young, DVM, who recently completed a clinical nutrition residency at the University of Missouri College of Veterinary Medicine, was awarded a two-year research fellowship to improve understanding of how vitamin D status influences cancer in small companion animals. 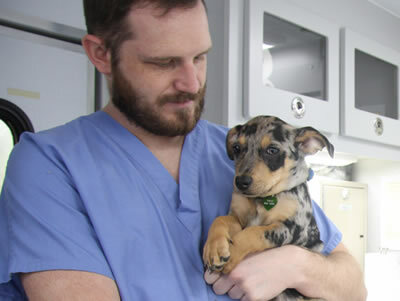 Young, along with her fellowship mentor, Robert Backus, MS, DVM, PhD, are investigating the use of a vitamin D metabolite as an adjunct treatment for various forms of canine cancer at the MU CVM. Young was awarded the fellowship by Morris Animal Foundation, the Blue Buffalo Foundation and the Petco Foundation at the conclusion of her clinical nutrition residency. “Nutrition plays a critical role in keeping our pets healthy, but also can improve outcomes for dogs undergoing cancer treatment,” said Barbara Wolfe, chief scientific officer for Morris Animal Foundation, a leading nonprofit funder of research to advance animal health. In addition, a grant application submitted by Young and Backus won the 2016 American Academy of Veterinary Nutrition Research Award. The award means the grant application for a specific aim of the fellowship will be fully funded. Young presented some of her research on that topic, “Oral vitamin D supplementation at five times the recommended allowance does not efficiently increase Vitamin D status in adult dogs,” at the 2016 AAVN Clinical Nutrition and Research Symposium in Denver. Young presented another of her studies titled, “Vitamin D supplementation in dogs: D3 vs. 25 OHD3,” on Oct. 20 at the Waltham International Nutritional Sciences Symposium in Chicago. Waltham presented Young with an early career researcher award.